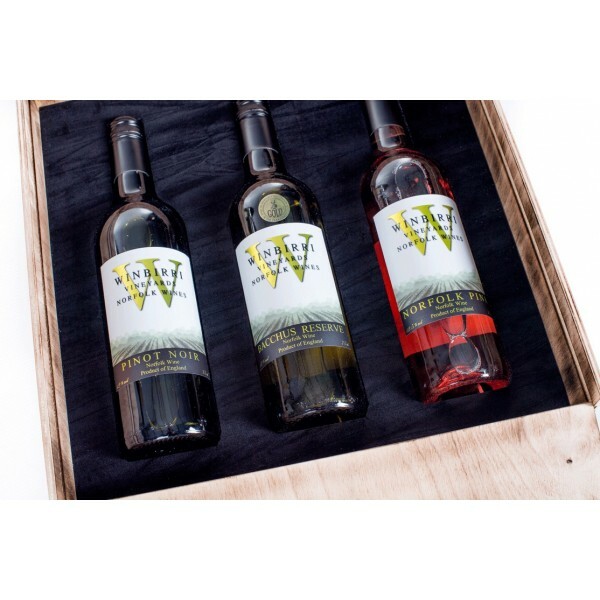 A natural timber wine bottle crate with burnt effect. 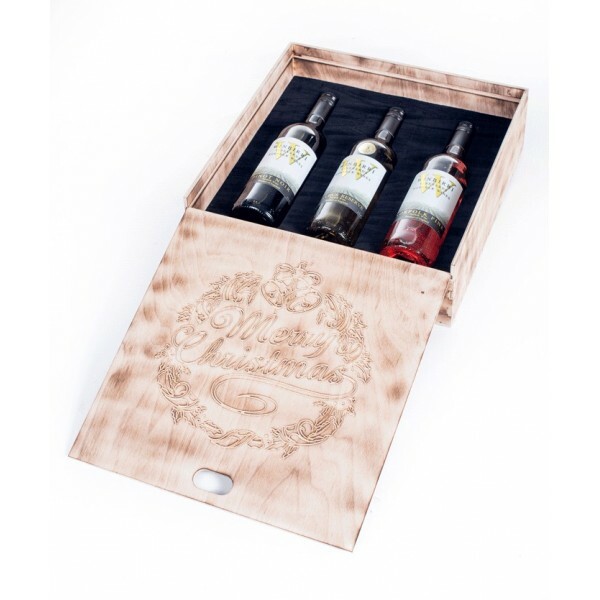 Holds 3 standard 75cl wine bottles in a smartly pressed foam lined interior. Approximate external dimensions 15" x 15" x 5". 1kg in weight. 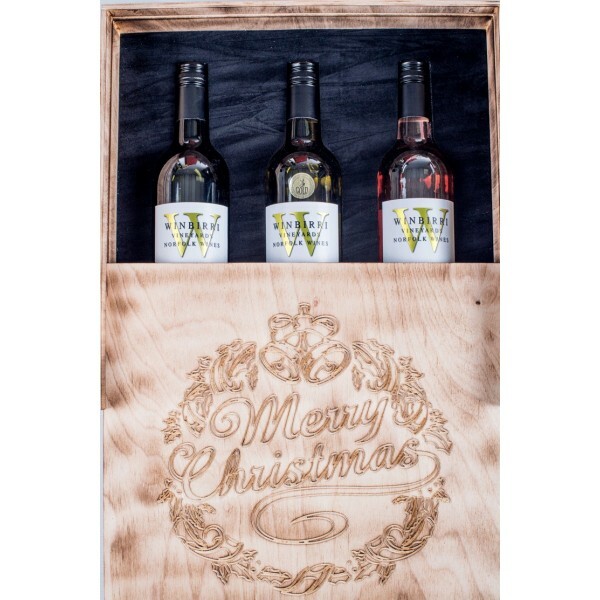 An ideal gift for Christmas, make that perfect wine hamper. 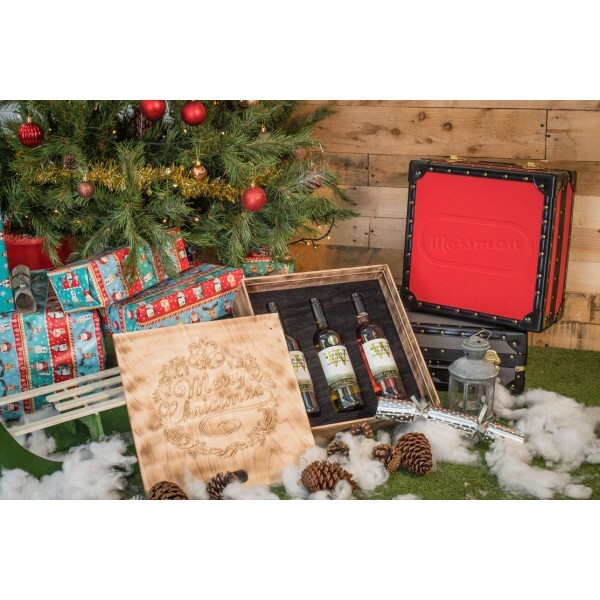 With the option to engrave Merry Christmas on top. 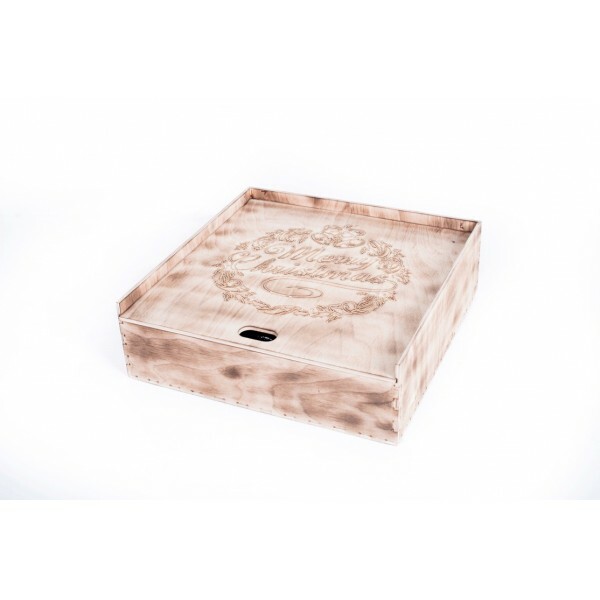 Constructed from the highest quality 5.5mm natural plywood which is then burnt. With slide out lid panel. The interior base is foamed and suedette lined, which holds 3 standard size wine bottles. Free UK shipping within 5 working days for this standard item. 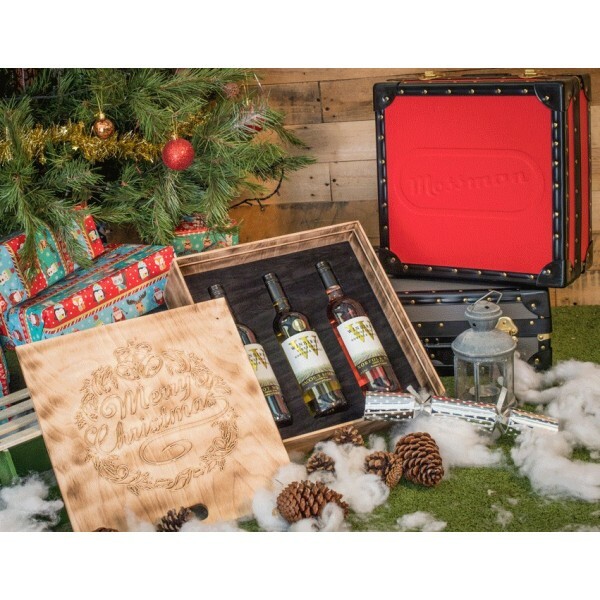 Please note WINE BOTTLES ARE NOT INCLUDED. Wine displayed in pictures is for show only.